This is from beekeeper Paul's hive. He has a thermometer in the hive. Sometimes it can be a little deceiving on the internal hive temperature. If the cluster is near the temperature probe it can give an artificial warm internal hive temperature. 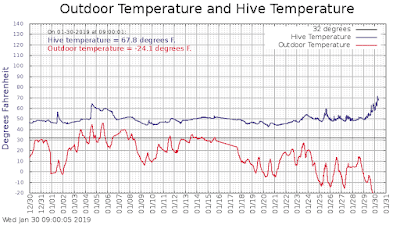 Usually in the hive, once you get about nine inches away from the cluster, the internal hive temperature is about the same as the outside temperature. 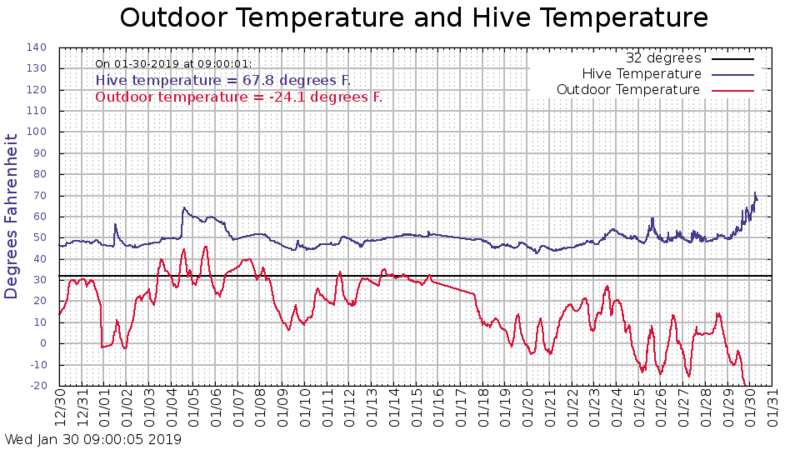 So right now, inside the lower box in a hive, it is about minus 20 degrees. In the upper box near the cluster, It will be warmer as the bees are eating more food and generating more heat to combat the cold. Plus heat rises and the upper part of the hive should be the warmest part of the hive right now. 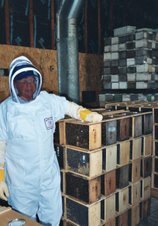 So beekeepers, if you think the bees heat the whole hive and keep it warm that is not the case.